Mystical Prism designed by Toni Steere and Jenny Foltz of Wing and a Prayer Design, uses traditional piecing methods, but with unusual fabric color combinations. The colors combined with the unique block designs come alive creating the impression of a kaleidoscope. 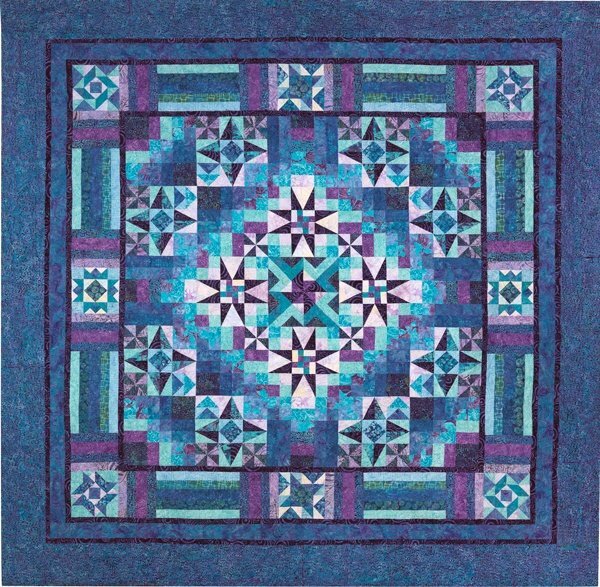 The basic piecing techniques and our easy-to-follow instructions, combined with a variety of block sizes make this quilt perfect for both the novice and the experienced quilter alike. The many points are easily made with the optional Creative Grids rulers or using the paper templates included with the pattern. The class will meet once a month for 6 months beginning in February. 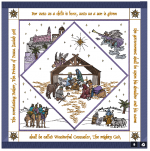 It is a FREE class with the purchase of the fabric kit. Finished size of your Mystical Prism quilt will be 102" x 102". Come and join us on this journey as we guide you each month through the tricks and techniques needed to skillfully finish each of your blocks and finally, complete your Mystical Prism!